This will be a complete walkthrough guide with help, hints, tips, tricks, answers and solutions for Levels 101 to 111 of the iOS and Android logic puzzle game Tricky Test 2™: Genius Brain? (previously “Think Outside”) by Orangenose Studios. Feel free to ask for extra help in the comments section. Looking for Levels 0 to 100? 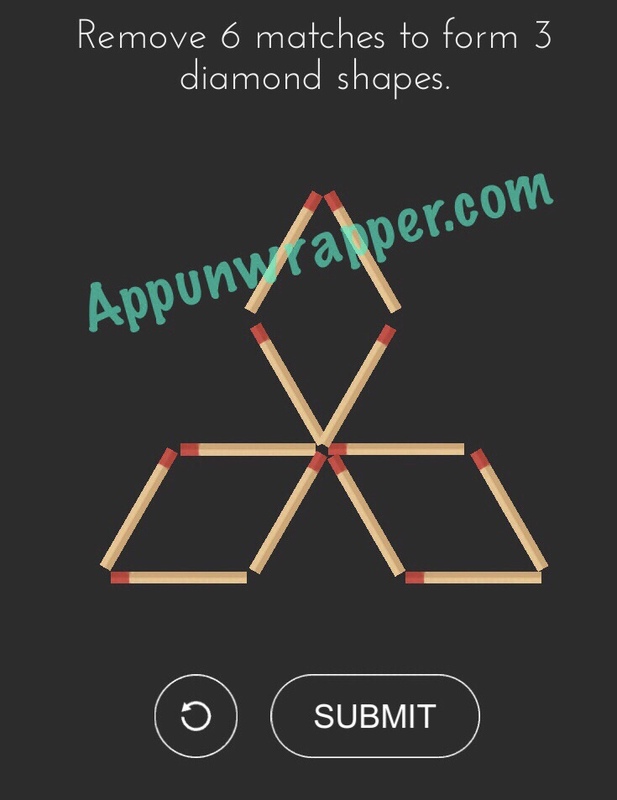 Level 101: Remove 6 matches to form 3 diamond shapes. Answer: Just copy the image below and press SUBMIT. Level 102: Complete the equation. 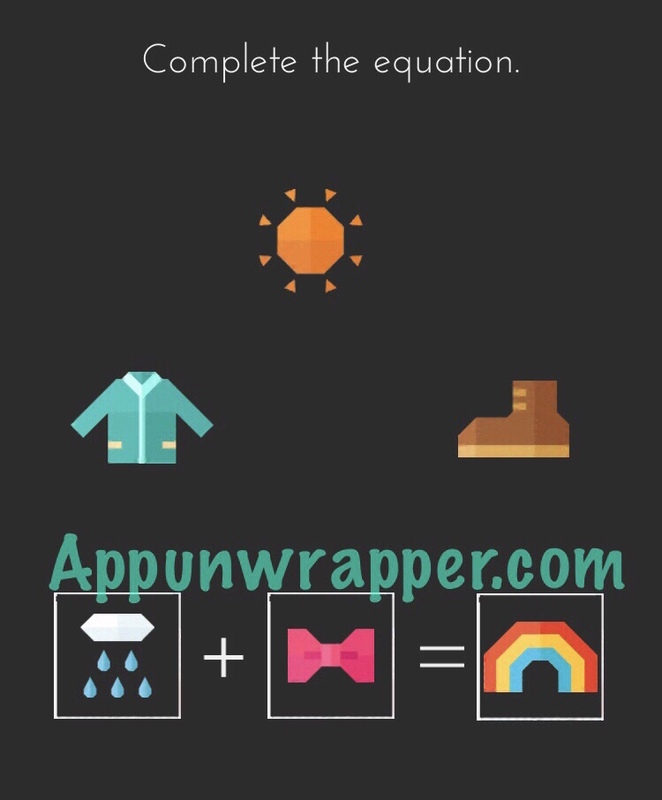 Answer: Rain + Bow = Rainbow. Just drag the icons to the boxes. 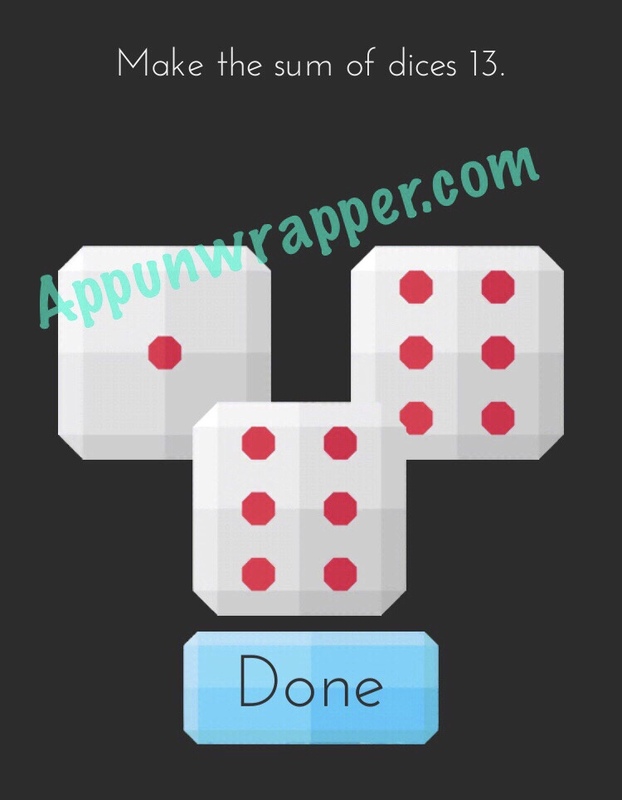 Level 103: Make the sum of dices 13. Answer: Shake your device until you get two sixes. Then, drag the left Six to reveal another die. You should now have 13, so press DONE. Level 104: Make both of them able to eat donuts. Answer: Press and hold down on the donut until the word COPY appears. 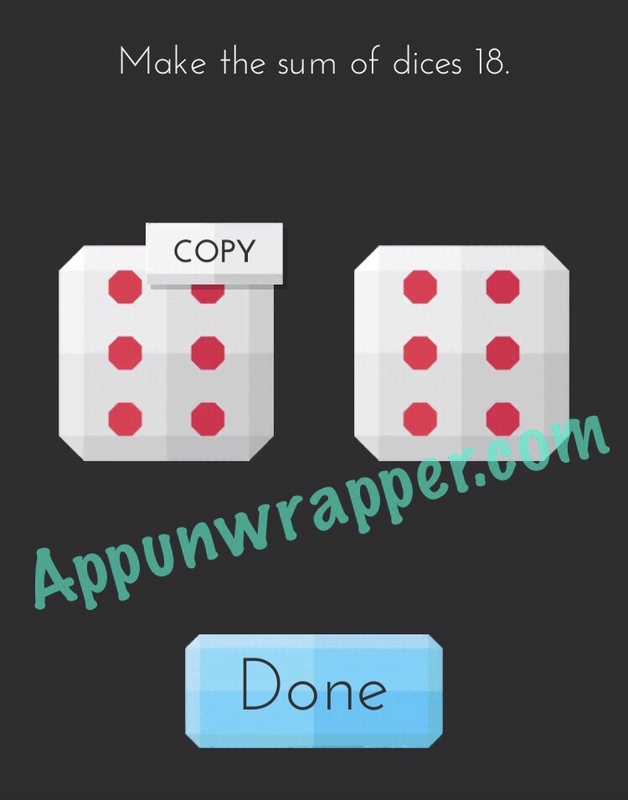 Tap COPY. Then, press and hold down on the outline of the donut until the word PASTE appears. Tap PASTE to paste a second donut. Level 105: Swipe according to the arrow / Swipe the opposite way of the arrow. Answer: Follow the instructions at the top. 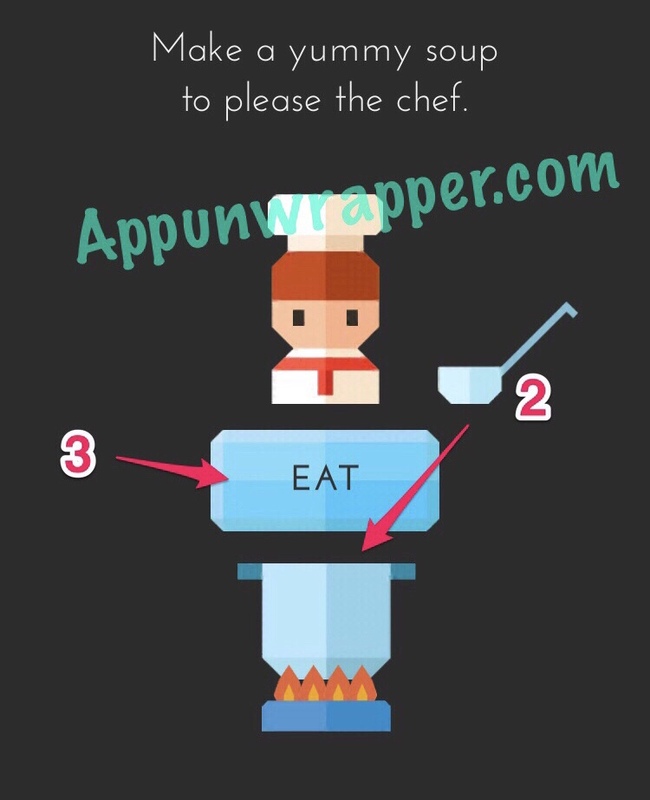 Swipe in the direction the arrow is pointing when it says ACCORDING TO. Swipe the opposite direction when it says OPPOSITE WAY. It’s different each time, so just pay close attention and try not to mess up. Level 106: Find the person with a hat. Answer: Use two fingers to pinch to zoom out until you see a man in a hat holding the whole scene as a record in his hands. 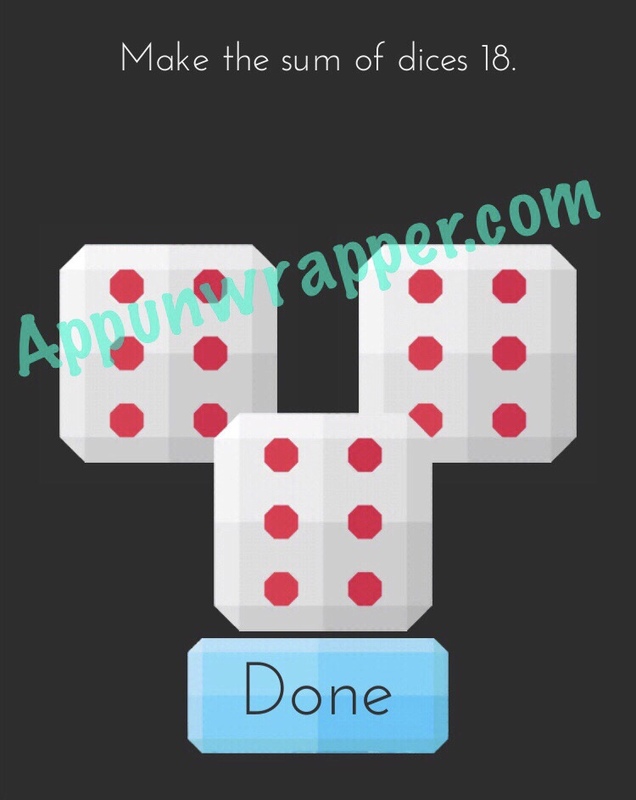 Level 107: Make the sum of the dices 18. Answer: Shake your device until you get two sixes. Then, press and hold on one of them and tap COPY. 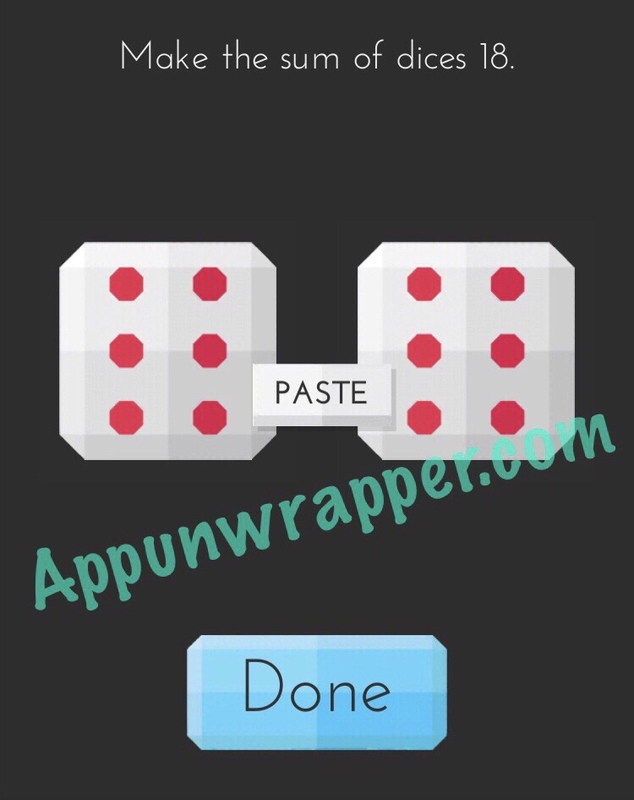 Then, press and hold on an empty space and tap PASTE. You should now have three sixes, which add up to 18. Press DONE. 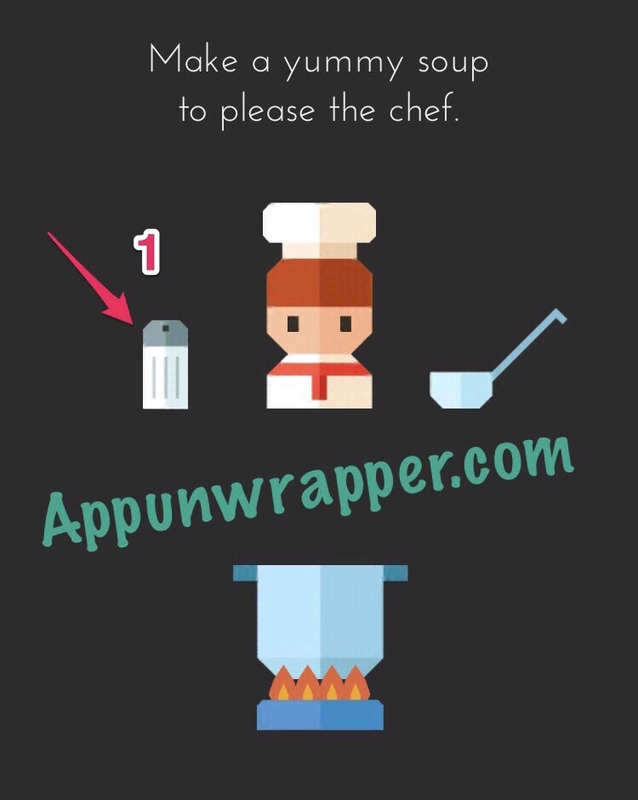 Level 108: Make a yummy soup to please the chef. Answer: First, tap on the salt to add some to the soup. Then, drag the ladel to the pot of soup to fill it with some. And last, press EAT. Answer: First, tilt your phone to the left. A woman will appear and distract your opponent. Now you can punch him! 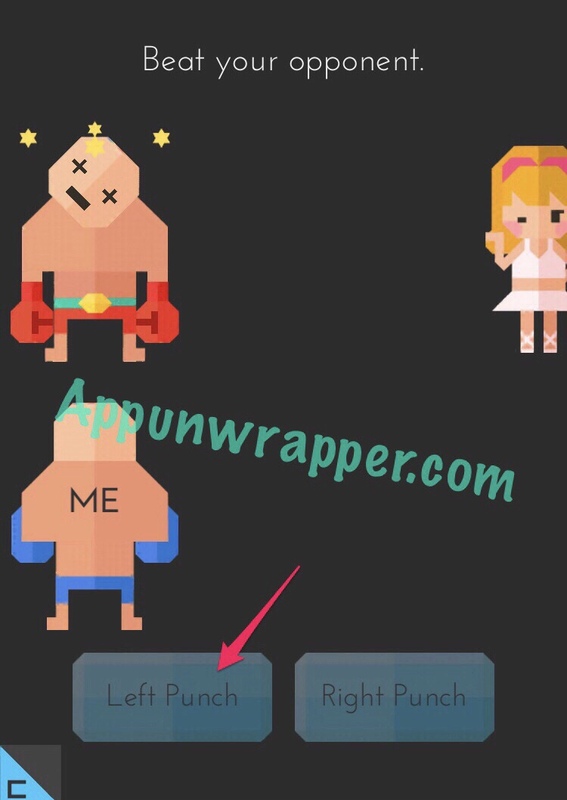 I’m not sure if it matters which side you punch him from, but I chose Left Punch. Level 110: Put 2 pool balls into holes at the same time. Answer: Tap either the red or blue ball to hit one of them into a hole. Then, when the RETRY window pops up, drag it out of the way and tap the other ball to hit it into another hole. 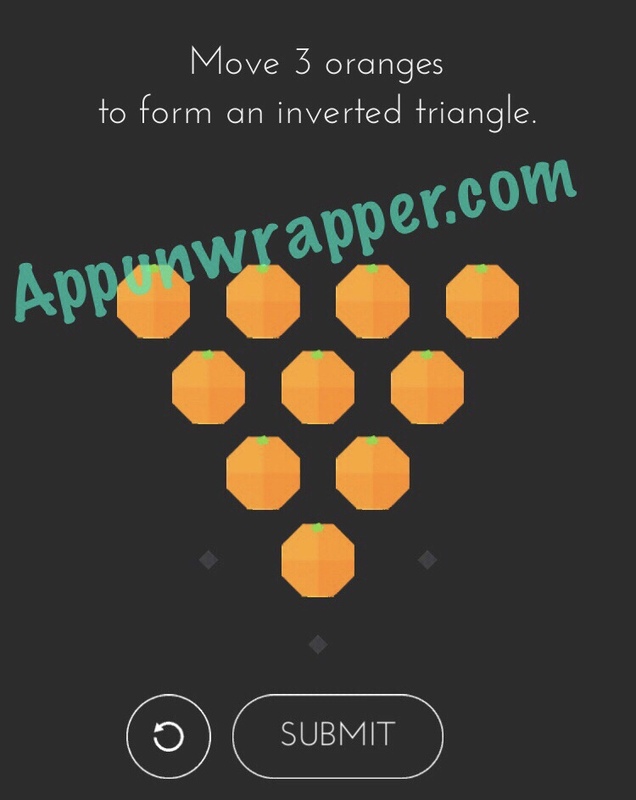 Level 111: Move 3 oranges to form an inverted triangle. 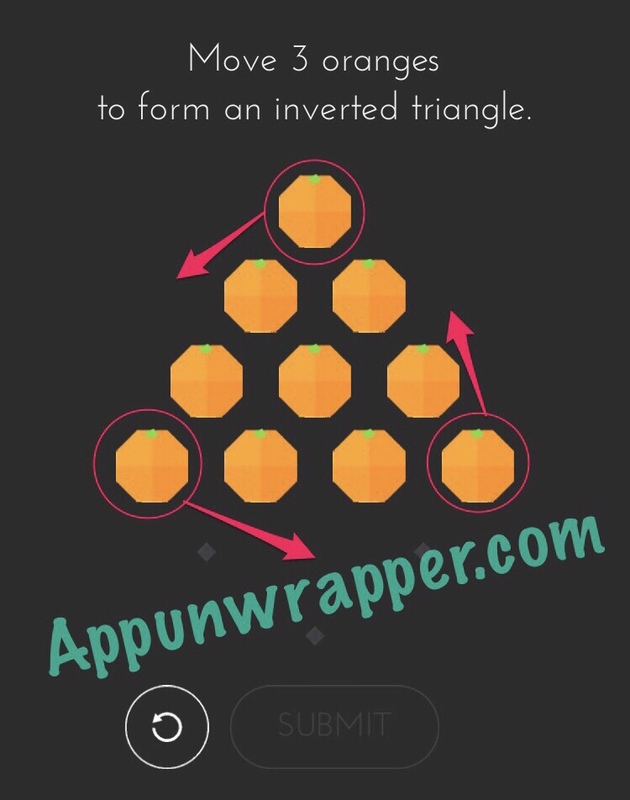 Answer: Move the oranges as shown below. And that’s everything! Check back here when more levels are added.